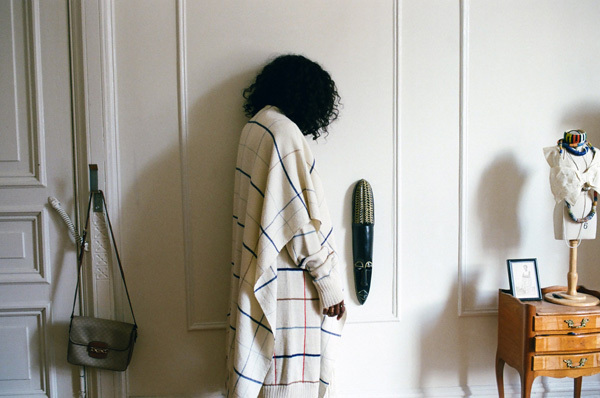 A PEACE TREATY is a well-traveled brand designed in NYC and handmade globally. Designed in New York City by Dana Arbib, A PEACE TREATY incorporates exquisite artisanal details from far-flung places such as Pakistan, Turkey, and Peru. The brand is founded on the belief that wearing beautiful, handcrafted pieces, imbued with the story of their maker are the most beautiful and luxurious in the world. Arbib is a champion for slow fashion and preservationists of centuries-old techniques. Collections include hand crafted scarves, jewelry, knits, ponchos, kaftans, and capes; essential travel wears for the well-traveled. Choupette Social Girl: What is your ethical brand motto? Dana Arbib: A PEACE TREATY is founded on the belief that wearing beautiful, handcrafted pieces, imbued with the story of their maker are the most beautiful and luxurious in the world. CSG: How does your Libyan Jewish heritage and Roman upbringing play a role in the designs? DA: My North African descent always plays a role within the aesthetic of my designs. You can recognize many elements throughout various collections that would allude to historical North African textiles and jewelry. The idea of the nomadic traveler is something I grew up with and will always influence what I design. I try to design the perfect pieces to pack and travel the world with. As a child, I traveled every summer to Italy with my family and I met the tailor who handmade all my father’s suits. The same tailor who as well made my grandfathers suits. The idea of these handcrafting skills being passed down through generations has always been something I grew up knowing fondly. CSG: How do you find such talented artisans? DA: Many of our artisans are found through word of mouth and personal connections cultivated through traveling. As a child, my parents worked within the world of global humanitarian rescue. As a result, I was able to meet political and world figures as well as become personally involved in relief efforts. These connections created throughout my childhood led to further research and outreach to different artisans and NGO’s around the world. Although, many times it’s a matter of going on the ground to different locations and meeting people on the ground who make things. CSG: How can the industry help preserve centuries-old techniques? iThe industry must change their fast fashion mentality and embrace slow fashion for its ability to improve quality of product and also embrace the human hand making the product. It is necessary to recognize that these pieces take longer to make and may be more expensive. However, the result is a luxurious handcrafted piece that tells a unique story and lasts. CSG: What story do your garments tell? DA: Beyond the inspiration of each individual collection, our pieces are created by artisans from all corners of the world. Slight variations in each piece’s fabrication make each piece authentic and truly beautiful on its own. When the wearer sees the “Made In” label on our products, it gives them a glimpse into what each country we work in can produce. It’s surprising to see that everything does not have to look traditional, These products can actually be modern and fashion forward. 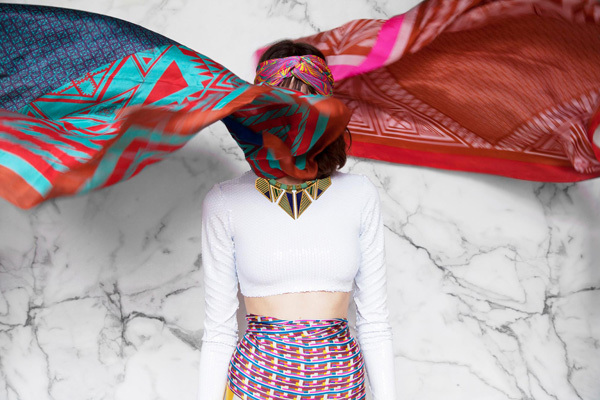 As a result, each piece takes the wearer on a journey that is one-of- a-kind. It not only invites you to travel through our products, but it helps you discover the unexpected, learn about different techniques and cultures, and share that story with others.